The darling of many and arguably the best governor in Kenya, Dr. Alfred Mutua who is the Machakos governor and the former Spokesman in Mwai Kibaki’s government has nailed it again.I am not surprised though, because he is always on point like a decimal. He has finally given the former vice president, Kalonzo Musyoka a ‘hardhearted blow’ and proved that Kalonzo Musyoka ain’t the undisputed political king of the Ukambani community. 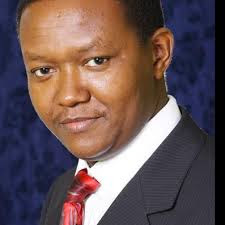 Recently, elders from the 22 Akamba clans ‘disposed of’ the former V.P and approved the Machakos Governor, Dr. Alfred Mutua as the new leader of the Akamba Community. The elders claim that Dr. Alfred Mutua is an impressive leader who is focused on development. Judging from the developments he has brought in Ukambani, he truly deserves the crown. I am worried for the ‘water melon’ politician. Hawess pita katikati yao. What next Kalonzo since you are no longer the acknowledged king of Ukambani?